Some woodwind instrument mouthpiece sans reed. Saxophone say I. Isn't a saxophone really just a fancy duck call? It's early days, but I bet I won't read anything funnier than that this year! I'd rather listen to a dozen banjos than one sax...and that's saying something. We will see. I am a man who has a tube of superglue and is not afraid to use it. I just went back and scanned the photos on full brightness and couldn't see anything that looks like a crack. Awesome, so you're telling me I missed out on a great deal. LOL Hey, at least Fr. Tom got it. I'm okay with that. Here's an illustration of what I thought I saw... arrow heads point to the bottom of what I thought was a hairline crack. I wear glasses for near-sightedness, so pardon the mistake. Grats! 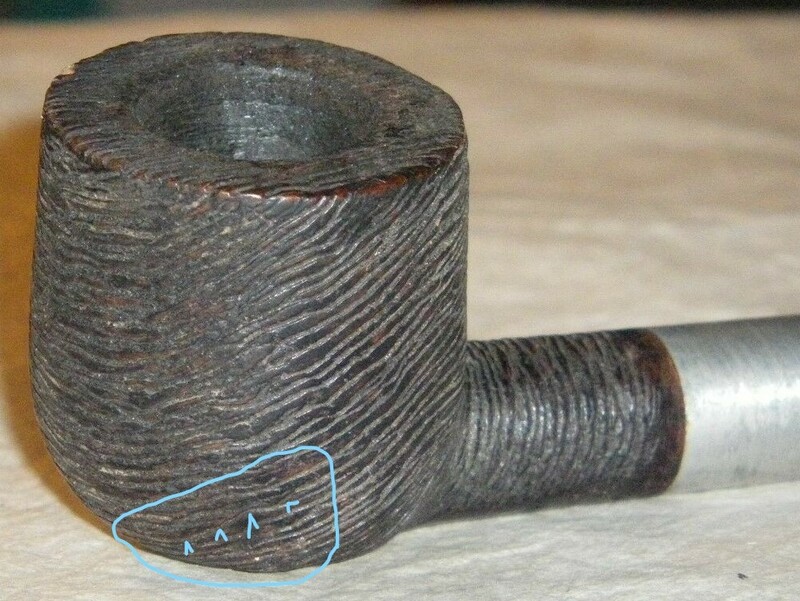 I almost bid on that one, but pics showed what looked to be a hairline crack around the bottom of the bowl. It blended so well with the brush lines I couldn't tell if they were just "clean" lines or actual cracks within the line. Maybe it's a repair job? I don't know. 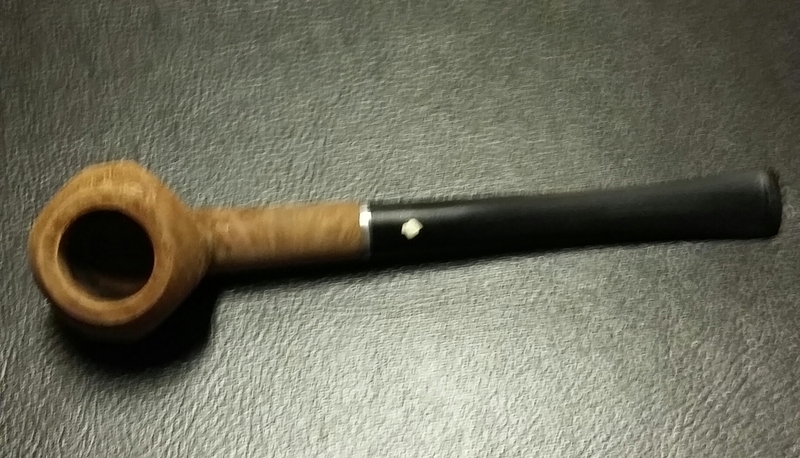 I'd have asked the seller about it, but I figured I'd get some response like "I don't know anything about pipes." Anyway, I hope this is not the case and you receive a solid chunk of briar. I had not seen anything to make me run away. 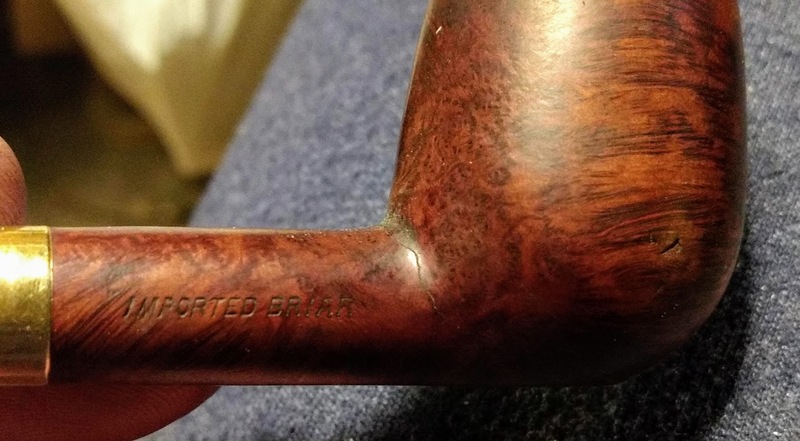 I have bought pipes that have had a crack or some problem the "junktique" dealer would not have known to notice or point out if he had wanted to. All of them are still in use and seem to be holding up OK. 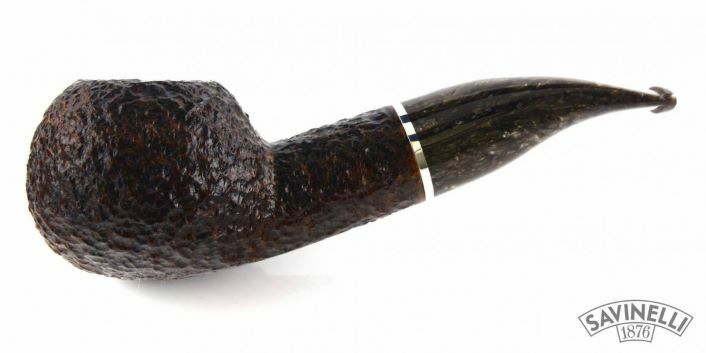 The Weber billiard I smoked this morning is one of those pipes. I figure if I have $11 or $12 in something I will use, it is not worth the hassle of sending it back and creating a stink. 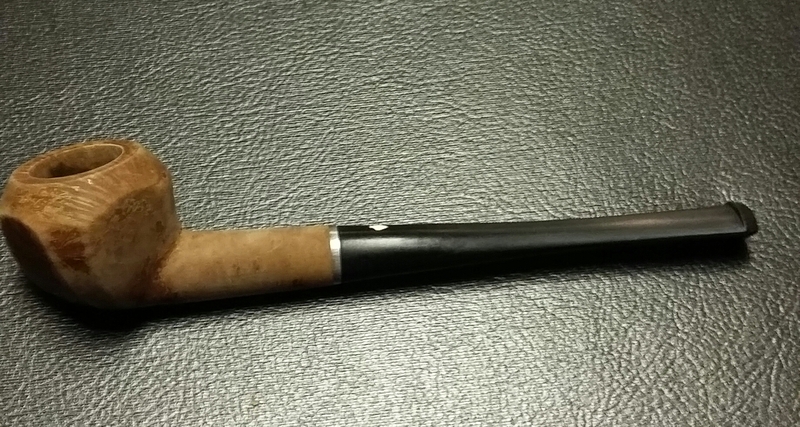 It is after all a Grabow Starfire, and I like saddle-bit stems. 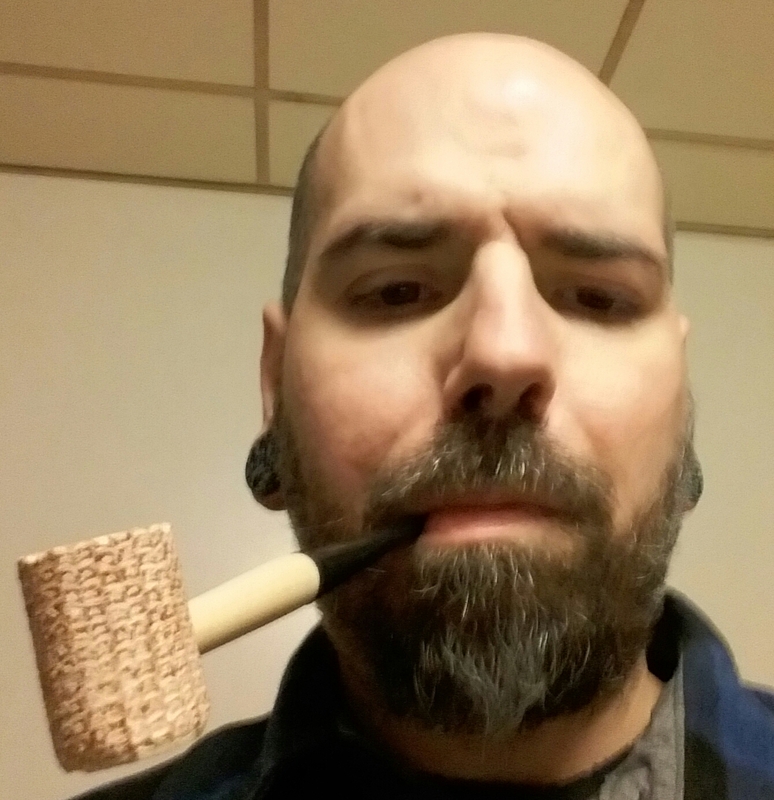 If I smoke it for a few years and it falls apart, I am not going to be bitter or harbor resentment. 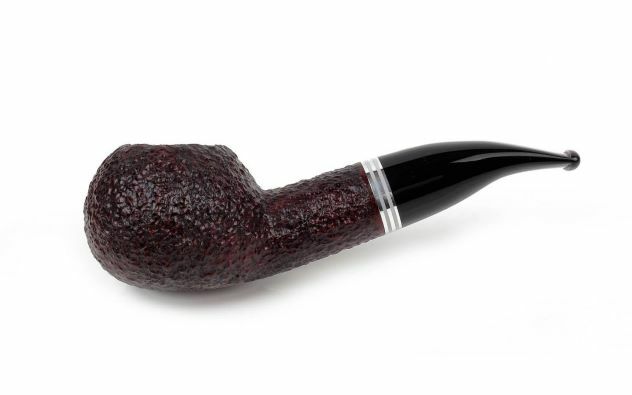 It is not like I am buying pipes as an investment or with plans to sell them. Here is some detail on the Weber crack. I think I paid $8.99 for this shipped from some vendor who sold mostly mantlepiece curios. It seems pretty stable and has not gotten worse in the time I have had it. There is still time for superglue if it gets worse. 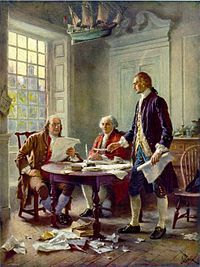 I just got my first pair of reading glasses, I feel like my grandfather switching back and forth between the two to see. 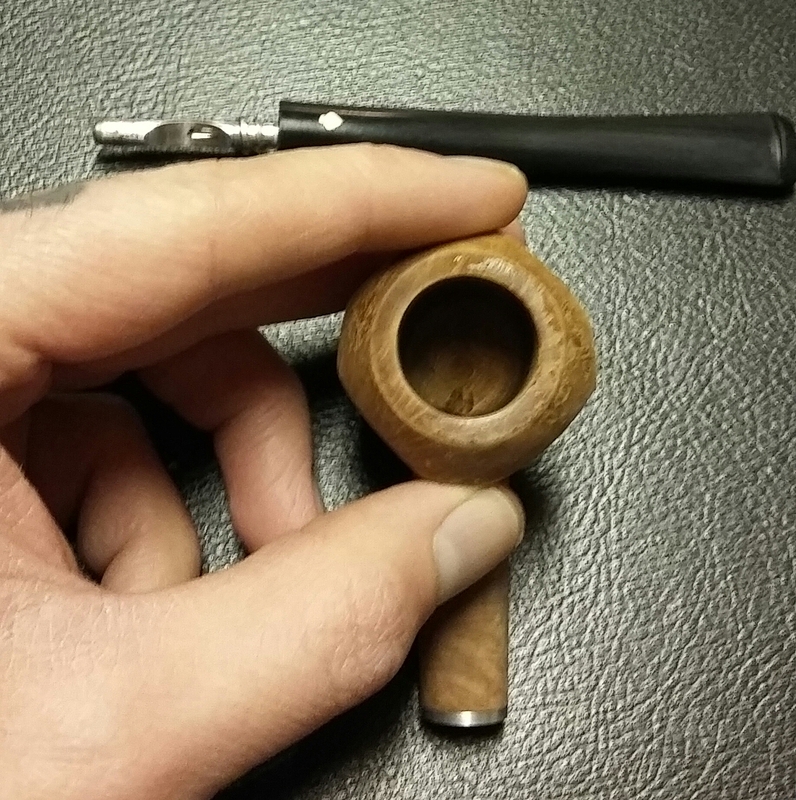 And my Savinelli 320s Seven Day set is now complete with these two newly found additions. I was some good work over the last few months requiring some patience; but I have 320s that I will surely enjoy. New Falcon arrived. Pretty sad that GQ can get this thing to me in about half the time it takes P&C to ship me something. 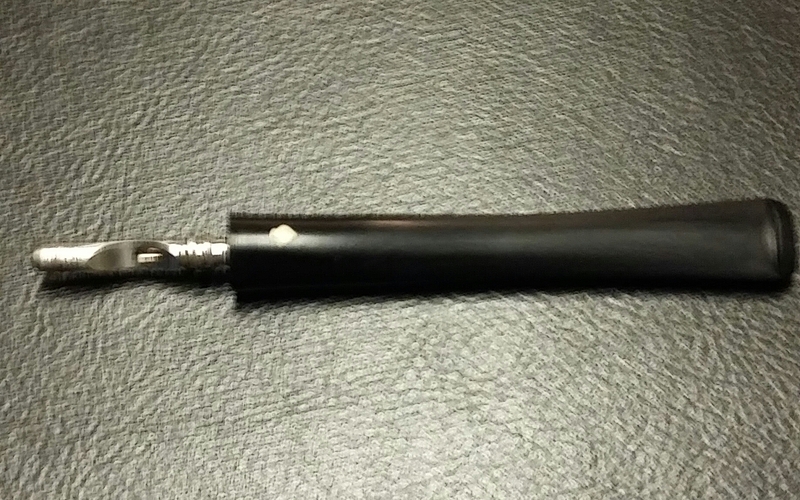 Try wiping a wet finger across the left side of the shank to see if any stampings pop out. Last edited by houtenziel on Wed Feb 13, 2019 4:18 pm, edited 1 time in total.